Cadmium oxide is an inorganic compound with the formula CdO. It is one of the main precursors to other cadmium compounds. 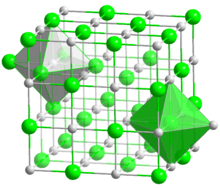 It crystallizes in a cubic rocksalt lattice like sodium chloride, with octahedral cation and anion centers. It occurs naturally as the rare mineral monteponite. Cadmium oxide can be found as a colorless amorphous powder or as brown or red crystals. Cadmium oxide is an n-type semiconductor with a band gap of 2.18 eV (2.31 eV) at room temperature (298 K). Since cadmium compounds are often found in association with zinc ores, cadmium oxide is a common by-product of zinc refining. It is produced by burning elemental cadmium in air. Pyrolysis of other cadmium compounds, such as the nitrate or the carbonate, also affords this oxide. When pure, it is red but CdO is unusual in being available in many differing colours due to its tendency to form defect structures resulting from anion vacancies. Cadmium oxide is prepared commercially by oxidizing cadmium vapor in air. Cadmium oxide is used in cadmium plating baths, electrodes for storage batteries, cadmium salts, catalyst, ceramic glazes, phosphors, and nematocide. Major uses for cadmium oxide are as an ingredient for electroplating baths, and in pigments. CdO is used as a transparent conductive material, which was prepared as a transparent conducting film as early as 1907 by Karl Baedeker. Cadmium oxide in the form of thin films has been used in applications such as photodiodes, phototransistors, photovoltaic cells, transparent electrodes, liquid crystal displays, IR detectors, and anti reflection coatings. CdO microparticles undergo bandgap excitation when exposed to UV-A light and is also selective in phenol photodegradation. Most commercial electroplating of cadmium is done by electrodeposition from cyanide baths. These cyanide baths consist of cadmium oxide and sodium cyanide in water, which likely form cadmium cyanide and sodium hydroxide. A typical formula is 32 g/L cadmium oxide and 75 g/L sodium cyanide. The cadmium concentration may vary by as much as 50%. Brighteners are usually added to the bath and the plating is done at room temperature with high purity cadmium anodes. forms. A thin coat of cadmium oxide forms on the surface of cadmium in moist air at room temperature. Cadmium will oxidize at room temperatures to form CdO. Cadmium vapor and steam will form CdO and hydrogen in a reversible reaction. 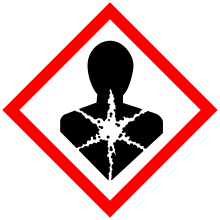 ↑ "NIOSH Pocket Guide to Chemical Hazards". Retrieved 2007-02-16. 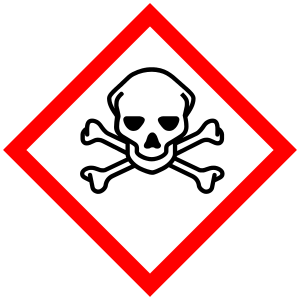 1 2 "INCHEM: Chemical Safety Information from Intergovernmental Organizations". Retrieved 2007-02-16. 1 2 3 Sigma-Aldrich Co., Cadmium oxide. Retrieved on 2014-05-23. 1 2 "Cadmium compounds (as Cd)". Immediately Dangerous to Life and Health. National Institute for Occupational Safety and Health (NIOSH). ↑ T. L. Chu; Shirley S. Chu (1990). "Degenerate cadmium oxide films for electronic devices". Journal of Electronic Materials. 19 (9): 1003–1005. Bibcode:1990JEMat..19.1003C. doi:10.1007/BF02652928. ↑ S. K. Vasheghani Farahani; et al. (2013). "Temperature dependence of the direct bandgap and transport properties of CdO". Applied Physics Letters. 102 (2): 022102. Bibcode:2013ApPhL.102b2102V. doi:10.1063/1.4775691. ↑ "Cadmium and compounds fact sheet". Archived from the original on 2006-12-10. Retrieved 2007-02-16. ↑ Hampel, C. A.; Hawley, G. G. (1973). The encyclopedia of Chemistry (3rd ed.). p. 169. ↑ Varkey, A (1994). "Transparent conducting cadmium oxide thin films prepared by a solution growth technique". Thin Solid Films. 239 (2): 211. Bibcode:1994TSF...239..211V. doi:10.1016/0040-6090(94)90853-2. ↑ Dou, Y (1998). "N-type doping in CdO ceramics: a study by EELS and photoemission spectroscopy". Surface Science. 398: 241. Bibcode:1998SurSc.398..241D. doi:10.1016/S0039-6028(98)80028-9. ↑ Lokhande, B (2004). "Studies on cadmium oxide sprayed thin films deposited through non-aqueous medium". Materials Chemistry and Physics. 84 (2–3): 238. doi:10.1016/S0254-0584(03)00231-1. ↑ Karunakaran, C; Dhanalakshmi, R (2009). "Selectivity in photocatalysis by particulate semiconductors". Central European Journal of Chemistry. 7 (1): 134. doi:10.2478/s11532-008-0083-7. 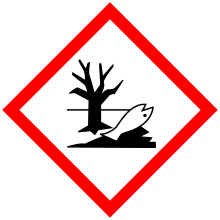 Wikimedia Commons has media related to Cadmium oxide. Cadmium(II) oxide information at Webelements.